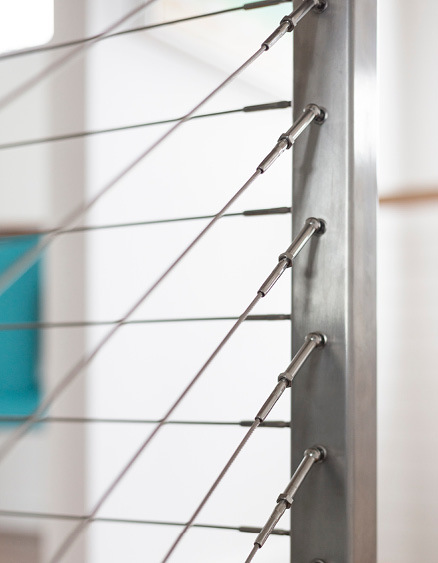 Miami Stainless has a number of high quality AISI 316 marine grade stainless steel wire balustrade systems available to suit timber or metal posts, walls or panels. Kit form balustrade systems are generally shipped same day while factory swaged wire balustrade systems within three working days meaning you can measure one weekend and install the next! Miami Stainless Wire Balustrade Systems are unique, functional, easy to install and provide a stylish and contemporary finish to any project. 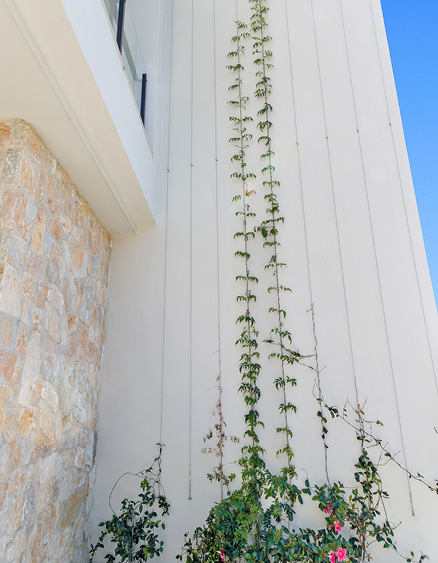 If you are looking for a low maintenance, durable option to complete your deck, staircase, veranda or fencing need, Miami Stainless Wire Balustrade Systems are your solution. If you are unsure of what stainless steel wire balustrade system you require, click on the images below to understand how each wire balustrade system works, where it can be used, how to measure up and install and how to order from Miami Stainless. Article: Can I swage my own balustrade wires? Miami Stainless Wire Balustrade Systems include the traditional Standard DIY, Jaw Swage Bottlescrew and Tensioner Swage Stud systems through to the streamline ultra high quality ProRig Original Design Insert and Nutsert Swage Stud Systems, Tension Rod systems and the latest Flip Toggle systems which suit straight or stair sections. 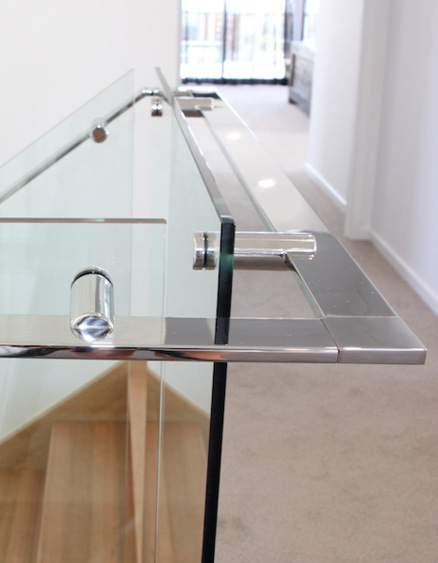 To order, simply measure the distance from inside post to inside post between the starting and finishing points of your posts and provide them to Miami Stainless either through our online Balustrade Builder or contact us directly via phone, fax or email. Your kit will arrive to your door ready for a very quick and simple installation. Can I install this method myself? Yes, even someone with no experience can easily install all our wire balustrade systems. Do I need any special tools? Other than common handyman tools such as an electric drill and drill bits you will need a Hand Swaging Tool and a set of Wire Rope Cutters. You can purchase these tools and drill bits for easy installation of this system if required. What size and type of stainless steel wire do I use? This method is almost always used with 3.0mm 7 x 7 stainless steel wire rope. This wire is the most functional for stainless steel wire balustrade systems due to its bright surface finish, attractive appearance, durability, strength and low stretch. What spacing do I need between my wires? When using 3.0mm 7 x 7 stainless steel wire, you will usually need 80mm spacing (usually 11 runs) between your wires when using a standard one (1) meter high handrail. Please click here for more information on the current NCC Wire Balustrade Regulations. 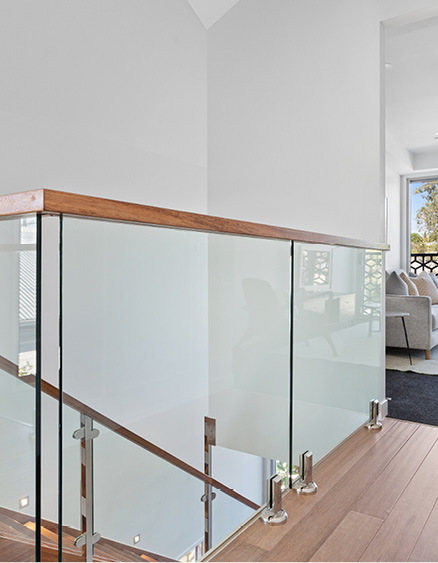 Can I use this balustrade system on a stair or angled section? Yes, the Standard DIY System suits stair and angled sections. What is the maximum length run I can do? The Standard DIY System can easily span up to 10 meters. Longer runs of up to 16 meters can be achieved when using a Tensioner at each end. Please contact Miami Stainless for further information. What size hole should I drill through my intermediate posts? A 4.0mm hole through your intermediate posts will allow the stainless steel wire to pass through. Please note: If you are using grommets, the required drill size is 11/32". Can I take my balustrade wire around corners? 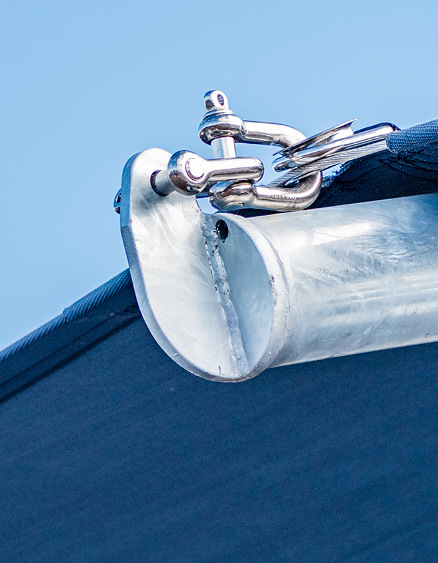 Miami Stainless highly recommends that you do not bend your wire around corners; this can fatigue the wire, put excessive stress on your posts, and make it difficult to get the required tension on your wire to meet NCC Regulations. Can I use this method if I have timber posts? Yes, you can use this system with timber posts. Simply use screws to fasten the Saddles to your posts. Can I use this method if I have metal posts? Yes, you can use this system with timber posts. Simply use Blind Rivets to fasten the Saddles to your posts. What do I need to get a quote? To get a free, no obligation quote you will need to know how many sections you require and the length of each section. You will also need the height of your handrail between your decking or platform and the underside of your handrail. You can use the Miami Stainless Balustrade Builder to compare different wire balustrade systems at your convenience or contact us directly here. How do I order? 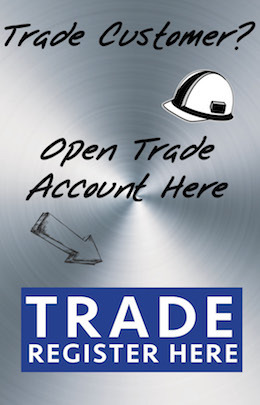 Simply follow the steps using the Miami Stainless Balustrade Builder and make a secure payment by credit card or you can contact us directly here. If you contact Miami Stainless directly we require your exact measurements from the inside to inside face of your posts to be supplied in writing. You can provide these measurements by email or fax. At this time payment is required which can be made by either credit card over the phone or by EFT. When making payment by EFT, please email or fax your payment remittance with invoice number to make sure your items are not delayed. Please note: For security reasons, please do not email your credit card details. 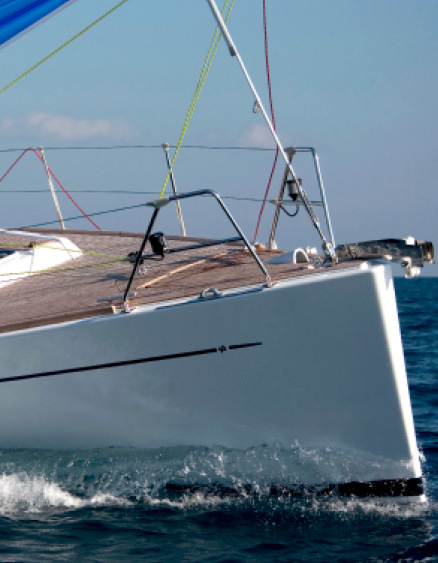 How much will freight cost me and when can I expect delivery? The Standard DIY System is usually dispatched the day* full payment is received. Miami Stainless has a maximum freight charge of $12 plus GST for Road Express via Star Track Express Australia wide. Please see the Delivery Table below for approximate delivery times. Please note: Miami Stainless offers an Air Freight service for packages under 5kg. Please contact us for further information. *While Miami Stainless endeavors to make sure all stainless steel fittings and wire rope are dispatched the day of payment, during busy times such as leading into Christmas we can experience a high work-load and delays. 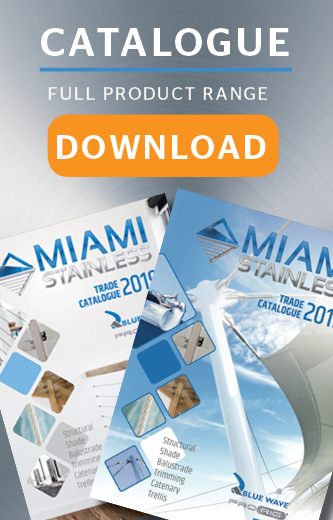 Please keep up-to-date with Miami Stainless news by signing up for our e-newsletter here.